← How to convert HTML to PostScript? How to convert URL to jpg? In this article, I will take converting URL to jpg for example to show you how to convert all printable file to image file or PDF file. 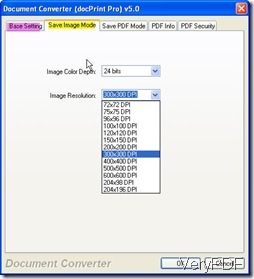 Meanwhile you can also adjust image resolution and color depth if the output file format is image. After conversion, you can insert the online information to your own documents like word, ppt or others. Now let us begin the conversion. 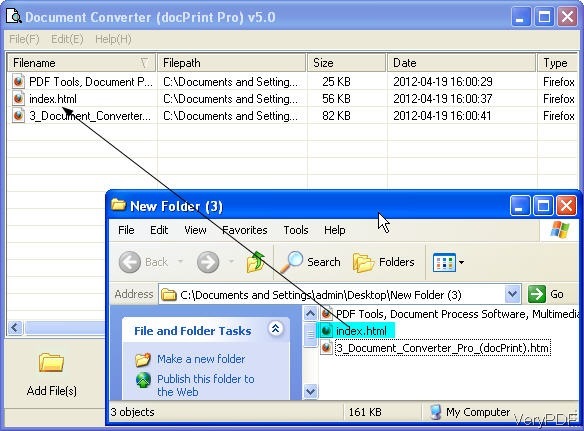 Document Converter was developed by VeryPDF Software company whose software make up a family about file format conversion. 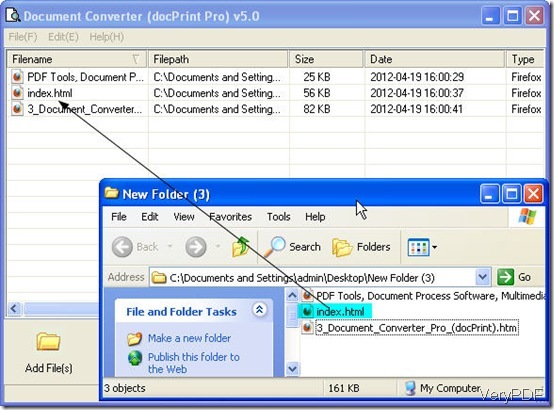 Document Converter either can be used a printer driver or can be used as a file format converter. When you use it as a converter, you can either use it through its software interface or call its executable file from MS Dos Windows. This article, I will force on how to use it by its GUI version. You can download this software to your PC, here is free downloading link for you,http://www.verypdf.com/artprint/docprint_pro_setup.exe. If you need to know more about this software, you can visit its homage. When you install it to your PC, there will be icon on the desktop, double click it then you can open its interface. 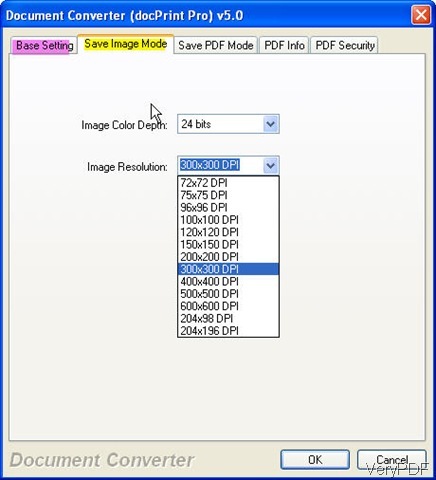 Converting URL to jpg is our aim, so we need to set the output file format as jpg by clicking the button Setting on its interface.If you need to adjust the image resolution and color depth, please go to the next tab named “Save image mode”. When you finish setting limitations for the output file, you can add URL needed converted. Click the option File on the left top corner then go to Add URL option. When you finish this, you can click the button Start to run the conversion. A dialogue box will bounce to the screen to remind you to save and name the converted jpg file. Then you can use the converted jpg file in the chosen folder. The following snapshots maybe can help you know more about this step. How should I do if I want to do batch conversion? You may can not help wondering that how can I do the batch conversion, as the dialogue box only allows to input one URL address. If you need to convert URL to jpg in batch, you have to save websites to html file then add all of them to software interface(press “Ctrl+S” to save the URL as html). Same with single conversion, you also need to click the button Setting to do the setting job. Then run the conversion. As to details, please refer to the following snapshot. Here I will call an end for the conversion from URL to jpg, if you have any question about this software or file format conversion, you are welcome to contact us by the ways supported on this website. How to print an invoice to PDF file? This entry was posted in docPrint Pro and tagged url to jpg. Bookmark the permalink.